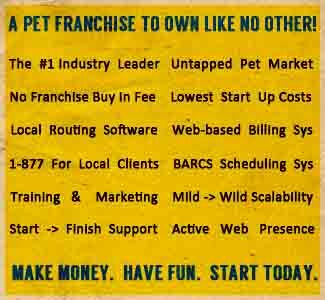 Home » Companies » Dogs » Dog Trainer Dog Training » California Professional Trainers » San Francisco Training » K.C.Diaz Enterprises ARF, Inc.
Carlos earned his Masters degrees (Business Administration) at San Jose State University, San Jose, CA. After leaving San Jose, Carlos Graduated from Jean Donaldson course as an Animal Behaviorist San Francisco Humane Society & SFSPCA. He works with stray and surrendered animals to help those deemed behaviorally unadoptable to become adoptable with training. Carlos answered behavioral questions for Tri-Valley Animal Rescue and other rescue groups as well. Carlos was a former answer man for a website for problematic dogs. Carlos pursued his love of dog training, as he took a position as an Area Training Instructor for PetsMart Corporation where he trained their trainers. Carlos complete a course offer by Trish King at the Marin Humane Society on Behavior & Training he also completed her course as a Behavior Counselor. Carlos supervision in overseeing the dog training program for PetsMart was a success improving the structure of the training programs obedience classes. Carlos left PetsMart�s training program, and continued his training career with Petco Corporation where he became Petco�s Area Trainer, training and improving in both the structure of classes and the quality of training. Petco training classes were on the map as they changed their obedience classes. Canine Good Citizen classes were added to the variety of classes. Carlos continued training Petco trainers for nine years. Before moving on to his own private training in which he started back in1980. Carlos has been featured in many publications. Carlos invented a dog leash that stops dogs from pulling and is a notable & prominent public speaker. Carlos in addition does private consultations for professional athletes as well as the general public. Along his journey, Carlos earned his certification as a Certified Pet Dog Trainer through the Association of Pet Dog Trainers and as an AKC Canine Good Citizen Evaluator (#2889). Carlos is also a mentor trainer for Animal Behavior College. Carlos met Karen Pryor and completed her Academy for Training & Behavior as well as her Clicker Expo. Carlos training focus is primarily on animal learning and training. Carlos is interested in equivalence and generalized identity matching in animals, as well as studying the most effective ways of training animals and their owners, focusing primarily on positive reinforcement training. He continues to do private dog training in the Northern California area.